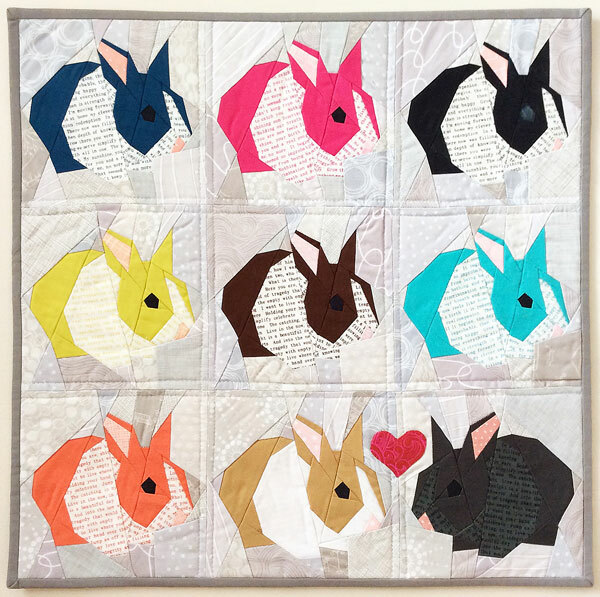 I made this mini quilt for my daughter, who is bunny crazy! I got the pattern from Bubblestitch on Craftsy. The bottom right bunny represents our bunny Gandalf, and the bottom center represents our bunny Poppy. I got the idea for combining the text fabric with the colored fabric in this block from Missenota when she made a turquoise one for our Minneapolis Modern Quilt Guild banner.